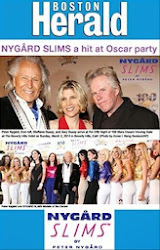 Peter Nygard, founder and owner of the global fashion enterprise Nygard Fashions, has been a long-time resident of Lyford Cay in Nassau, Bahamas. His Oceanside estate has been visited often by world celebrities who have described it as one of the most creative, beautiful mansions in the Caribbean. 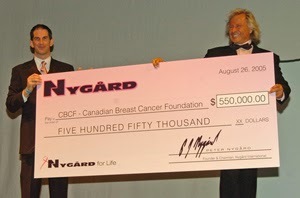 Mr. Nygard has personally contributed significant funding to both Bahamians sports and local community needs. In addition, many Bahamians have enjoyed playing sports, listening to local musicians and socializing at Nygard’s home. His long time love of the Bahamas and peaceful life at Nygard Cay all changed with the strange devastating burning down of his treasured home in 2009. This tragedy, coupled with an escalating dispute with a neighbor, who is a powerful New York based hedge fund king, has resulted in strained legal disputes. Mr Nygard believes that he is being targeted by the powerful political/environmental group ‘Save the Bay’, which is funded by this neighbor and this group is behind the unfair civil legal action underway which has resulted in an arrest warrant being issued again him. Winnipeg lawyer Jay Prober, one of Nygard’s Canadian lawyers, said the arrest warrant was “grossly unfair” and “totally unnecessary.” He said Nygard was unable to attend Monday’s hearing in person for medical reasons, but offered to appear by video conference. The issuance of the order showed little compassion. Mr Nygard’s health treatments are underway and despite this latest civil legal action in the Bahamas, Nygard Fashions worldwide operations continues with business as usual.